Put your reflexes and skill to the test in this super-tough platform challenge. Getting Blue and Orange to their goals at the same time should be easy, right? Especially as you control them both at the same time. Yeah sorry, it’s not going to be easy. Test your mettle against gruelling platform challenges, as spikes, stars, teleporters, speed boosts and so much more do their best to pop poor Blue and Orange. 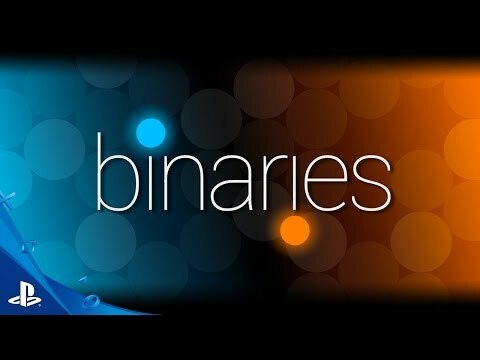 Have you got what it takes to beat Binaries? A really funky adaptive music score that ramps up when you do well and chills out if you’re stuck, to help you concentrate. It’s like the game wants you to do well (while it’s throwing spikes at you). Choose your own route to completion through a non-linear map. Have you got stuck on a super-tough stage? No worries! Just go and hone your skills on a different level.